An important agricultural and industrial center of the plain of Ravenna, Alfonsine (literally "the land of Alfonso") owes its foundation to the family Calcagnini that, in 1465, received from Borso d'Este, Duke of Ferrara, the lands right of the Po Primario , with Filo and Longastrino. Teofilo Calcagnini before, and his son Alfonso, later, started a massive and systematic reclamation of wetlands, marshes that are still visible only in the Natural Reserve, part of the Delta Regional Park of the River Po. 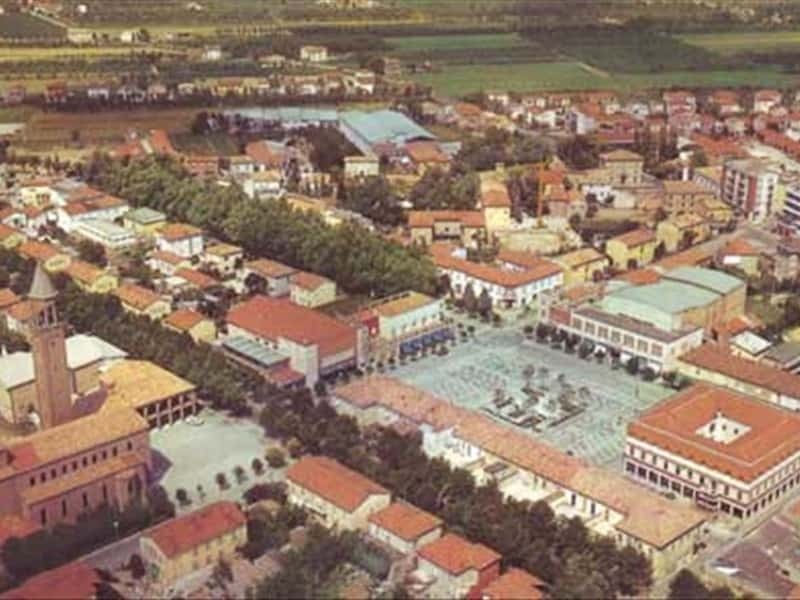 With the abolition of feudal rights, Alfonsine became independent in 1814, while during the Second World War it was badly damaged by bombing. - the XVIII century Oratory of San Vincenzo Ferreri, which houses a painting attributed to the Art school of the Longhi. This town web page has been visited 19,565 times.